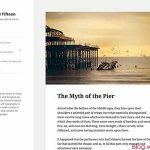 You probably already seen the dashboard “WordPress news” about the release of wordpress beta version of 3.3. I have upgrade my nightly build version to this beta new version, which including the very first step, which is to download wordpress 3.3 beta 1 version to my computer. For some of you who haven’t install the nightly build version which are updated many times, and you are interested to peek how wp 3.3 would look like, more and less about November this year, you can install this beta version offline. Again, I have mentioned many times, never install beta files in your online blog, follow these tutorials to install it in your computer or system. 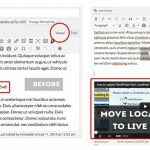 If you are using Mac system, check out install wordpress locally on mac, or Windows user, install wordpress locally on windows, and install wordpress locally on Ubuntu. 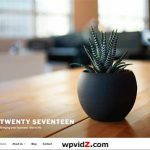 And even to be more specific on Operating System, I have also posted how to install wordpress on Windows 7 with WAMP server. Since the nightly build versions, I sometimes checked if there are some differences or updates on the files, and posted some updates in this blog. From about a few minutes looking at my new dashboard, I am impressed on the cleaness of this beta version, and goodness, it is fast! Especially with the flyout hover effects whenever you hover your left admin sidebar, the menu links will pop up and hidden automatically in lightning speed. For some of you who are noticing now, we don’t have “screen options” which are discussed in “disabling comment in wordpress 3”, you still can find it in “help” tab, whenever it is clicked and you are on post page. Where to download wordpress 3.3 Beta 1? To experience the overall dashboard performance yourself and see the new looks with your own eyes, you can download wordpress 3.3 beta 1 version in this official download link. (this external download link is officially from wordpress). Or if you prefer, you can read the introduction of this beta files from this official page, and then download the zip files. 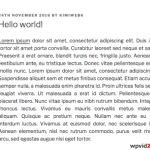 Want to see how sleek the coming wordpress 3.3 will be? 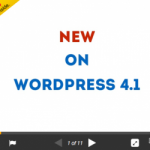 download wordpress 3.3 beta 1 now! 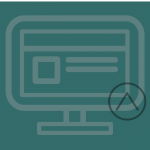 → Upload Media Icon in WordPress 3.3 Beta 1 – Only One Button!